Fast delivery from stock! 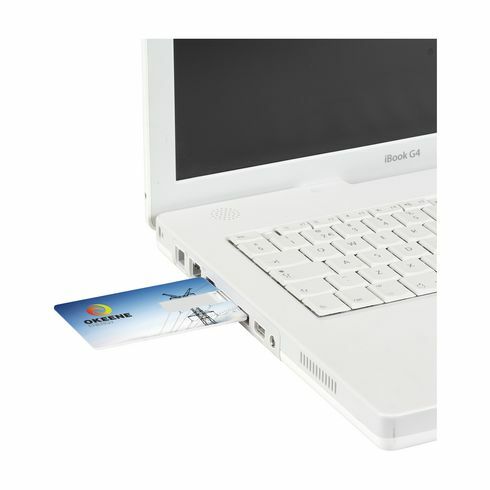 USB stick (2.0) in the form of a lightweight plastic credit card - slim enough to store in your wallet. 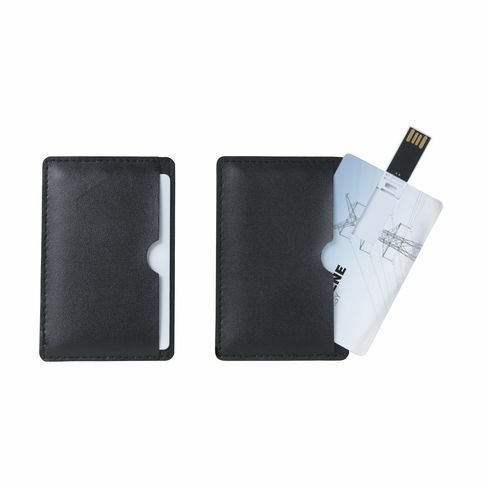 Perfect for safely storing and transporting files. Ready for immediate use due to the practical 'Plug-and-Play' system. Compatible with Windows, Mac and Linux. 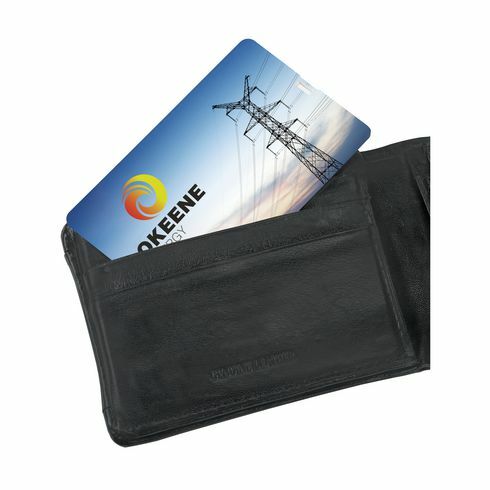 Each piece comes in an imitation leather case. Extra options include: removable preloaded data.